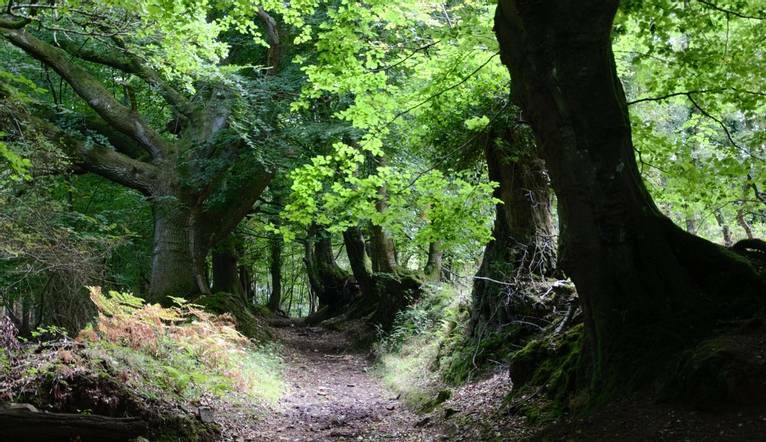 Head away for the weekend and take in the fresh air in Exmoor National Park. Check in to our hotel in the village of Dunster and join your fellow walkers for a welcome drink and dinner. We are dropped in Bossington and we walk to Hurlestone Point. From here we head uphill before walking through the delightfully secluded East Combe and Henners Combe. Take in the views over the Bristol Channel and all the way into Wales from the viewpoint of Western Brockholes. Typical for the South West Coast Path, uphill and downhill sections go hand in hand and from Grexy Combe, we will climb up to North Hill, and a stop for lunch (packed lunch available from the hotel) before heading on towards Minehead via Greenaleigh Farm. From there, it is an easy walk to Minehead. The coastal tourist honeypot of Minehead has lovely wide, sandy beaches and if the tide is right, we will continue our walk on the sand, past Warren Point and the Golf Course to Dunster Beach. Our walk heads out from the hotel through lovely forest up to Grabbist Hill and joins a wide path that takes us -following the ridge of the hill with great views in all directions (Quantocks to the East, rolling farm lands to the South, Minehead and moorlands to the North and Dunkery Beacon and the sea to the West) all the way to Wootton Courtenay. We cross the valley and continue up to Dunkery Beacon in delightful heather-clad moorland. Deer can often be spotted amongst the lush vegetation. Dunkery Beacon is Exmoor’s highest point at 519m and has a chain of summits capped with Bronze Age barrows and, weather permitting, we will have our packed lunches (available from hotel) overlooking the moorlands of Exmoor National Park before we descend into Horner via Hollow Combe and Horner Hill. In lovely quaint Horner we will have a cream tea stop before transferring back to the hotel. Found within Exmoor National Park, this friendly family run hotel is situated in the medieval village of Dunster and 550yards from Dunster Castle. The hotel is located off Junction 25 of the M5 for Taunton. The nearest railway station is Taunton approximately 21 miles away. Free parking is available in the High Street of Dunster or car parking permits are available for the Village Car Park from Reception (free of charge). Facilities here include a restaurant, bar, lounge, and boot drying room for walkers. The bedrooms are full of character, many of which overlook the village, and feature TV, tea/coffee-making facilities, hairdryer and complimentary Wi-Fi. Two guided walks are included in the programme. The walking programme is graded medium and you can expect to walk up to 17km (11 miles) on the first walk and around 16km (10.2 miles) on the second walk. The hotel minibus will be available to us for transfers to and from the walks.